Zulu has been placed into her forever home in the San Francisco Bay Area. She has another fawn aby playmate Jazz to keep her company while her parents are working or not at home. That is the ideal situation for a happy kitty. Her new dad Abe is a talented photographer and sends me many great pics of her. I love getting pics that show a kitten is happy in her new home, and seeing how she develops as she gets older and wiser. I was going to keep Zulu for my breeding program but she decided to be a particularly petite girl so for her sake she won the life-of-riley-lottery! Now, watch her have a sudden growth spurt! At first it was really difficult for me to place the kittens as I was worried about how they would adjust, how they would be treated, and how I would get along without them. But meeting so many wonderful people along the way has changed that. It should be a trust relationship between a person or family getting a kitten and the breeder they are getting him or her from. 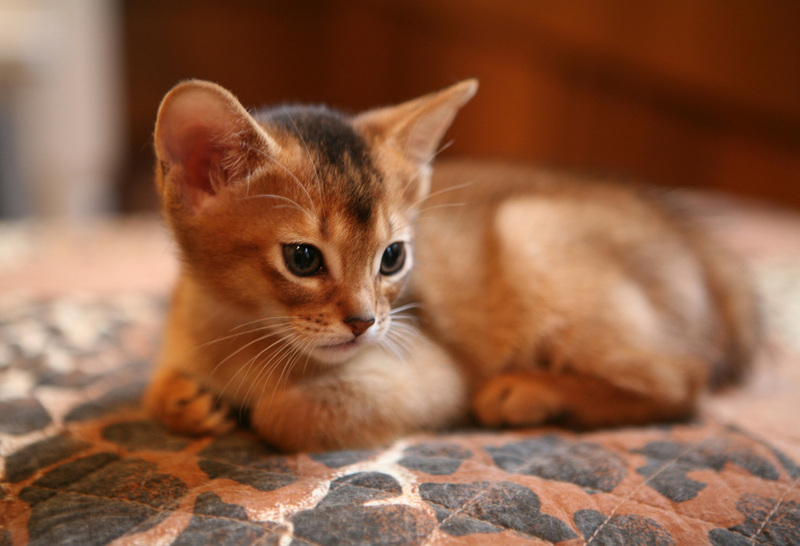 Your Abyssinian breeder can be one of your best resources for protecting the health of your new baby, and the relationship can help you for years to come. 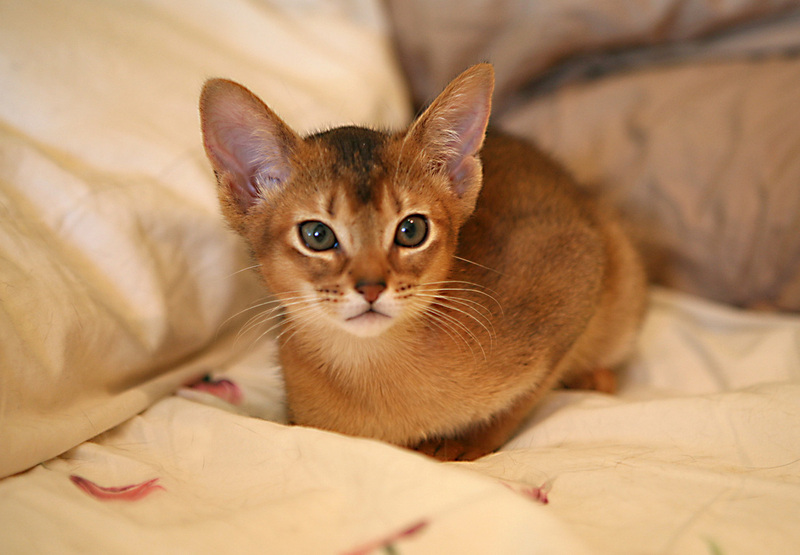 Click here to see Abyssinian kittens 5 litter.